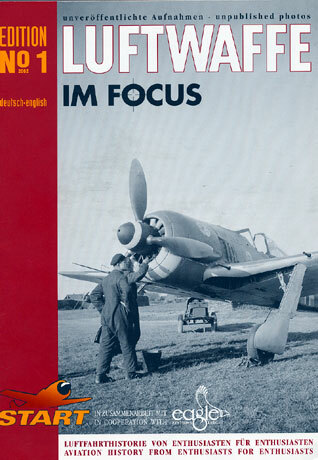 Luftwaffe Im Focus is a new magazine-style publication that will be issued three times per year. Edition No. 1 is presented in portrait A4 format, with a soft cover and 40 pages (plus covers). The paper is heavyweight and glossy. The publication is laid out attractively and professionally..
As the name quite accurately implies, the subject matter for this new series of books is the Luftwaffe in WWII. The core of the series is photographic coverage. Most pages feature two photographs each. This uncluttered approach means that the photos are quite large, with plenty of detail visible. Many of the photos have not appeared before, and there is a good mix of crashed and operational specimens across the whole spectrum of Luftwaffe aircraft. The centre section of the book includes eight pages of luxurious colour wartime images. The colour photos in particular provide a unique insight into the real appearance of these aircraft. The first Edition is logically structured, with chapters dedicated to Fighters, Destroyers, Dive Bombers, Reconnaissance aircraft, Transports and Gliders, Tails, Emblems, Captured Aircraft Portraits and a Photo-Essay. The full text and captions are both provided in German and English. The captions are quite helpful, with details about units and locations where that information is available. 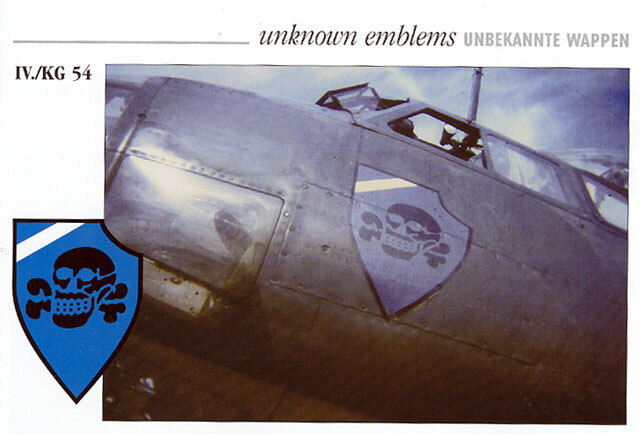 Luftwaffe aficionados will be very interested in the photos in this book, especially the rare colour reproductions.